Please click the red button to facilitate the referral for Appointment Tracking. Once the online form is completed and submitted, our staff will contact the patient within 12-24 hours to schedule an appointment. Using the online referral method, your office will be notified whether or not an appointment is made. After the appointment, your office will receive notes within two days of an urgent request and within one week of non-urgent requests. If you need assistance during any stage of the referral process, please contact the physician relations coordinator directly at 248-258-0001. If more convenient for you, you may print out the FHA Fax Referral Form, complete and fax back to us at 1.248.258.6779. Once our team members receive the fax, we will call the patient to schedule an appointment with the appropriate FHA physician (make sure to include Doctor Name and Faxback information). 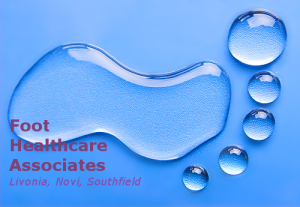 Provide patient with Foot Healthcare Associates contact information and they may schedule an appointment at their convenience by calling (1.248.258.0001) Download handout to give patient here. Refer the patient to our website, www.michiganpodiatry.com, and click on “Request Appointment,” a team member will contact the patient within 12-24 hours to schedule an appointment (please remind patient to complete the “Referring Physician” field in order for your office to be notified when the patient has been scheduled). We strive to communicate and coordinate Patient Care with you, the referring provider. Please let us know if there is anything else we can do to accommodate any of your needs or your patients’ needs!